Uncoupled from the rest of the train, the tourist filled carriage stood there. SOLO. (PIC ABOVE) Well, that explained why the carriage rocked lightly. So, as some of us were in our PJs, cracking sunflower seeds and playing iphone games, we were interrupted by custom officers and their sniffer dogs. They mispronounced our names, scrutinized our bags and took away our passports to BIG BOSS. 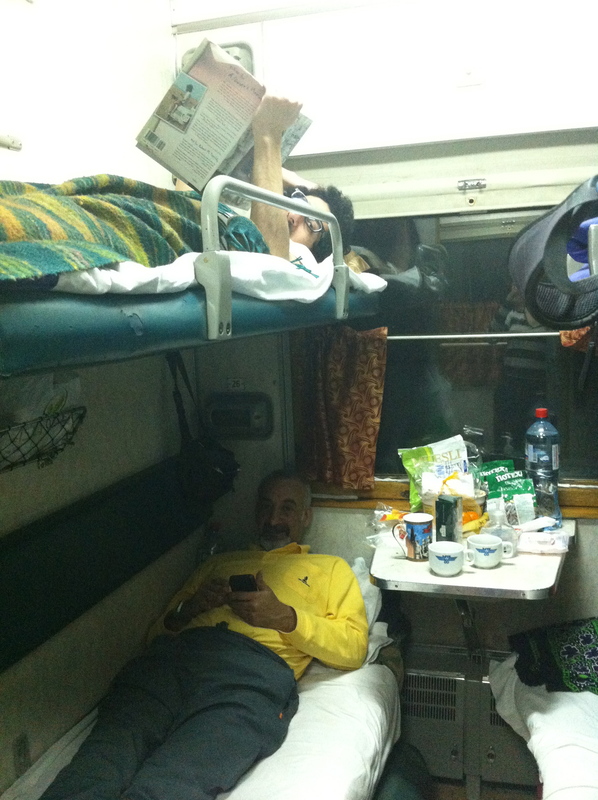 As we laid down on our berths waiting patiently for our passports and another train obviously, we rocked from side to side. The tremors were much harder but nothing dramatic. Finally, we were connected to another train and started moving. NO DINING CAR! We survived on pot noodles, mashed potato pot noodle style, sunflower seeds and water. I was just thankful we got the visa way in advance ( Cairo) and took no border risk. 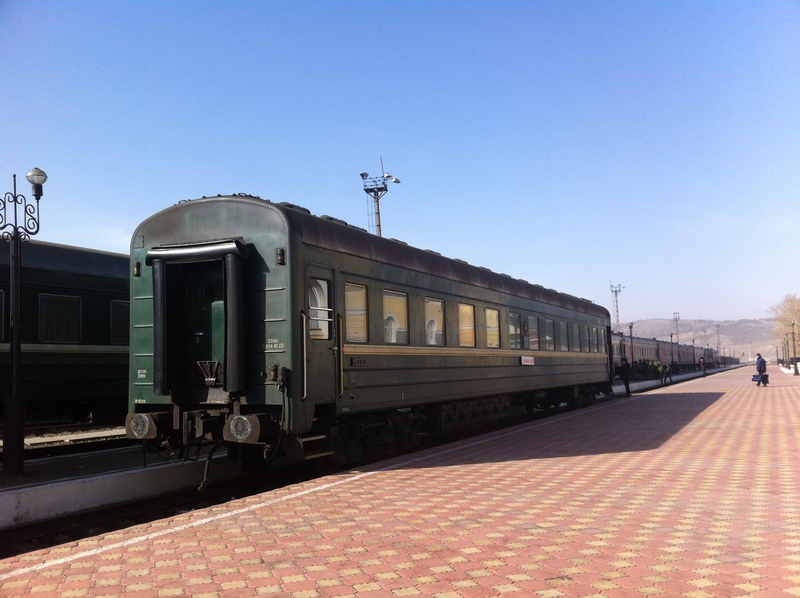 The only stupid thing we did at the border was exchange our dollars for Mongolian Togrog on the train. The lady appeared out of nowhere, screamed out a couple of numbers and pulled a roll of banknotes from her pocket. In dumb amazement, we accepted her offer.